Despite some hefty competition from the season finale of a certain fan-beloved TV show, real indiepop fans knew that the only place to be this past Sunday was sharing the cozy and welcoming Littlefield with luminaries of the genre from across the U.S. and Sweden at an all-day event. The Secret History, the penultimate act of the night and the only NYC-based band on the bill, were probably the strongest of the fourth and final night of the NYC Popfest 2010. I recorded this set with the DPA mics and a top-quality soundboard feed. This recording emphasizes the soundboard feed a bit more to bring out the strength of the vocals. Enjoy! Direct download of MP3 files [HERE]. 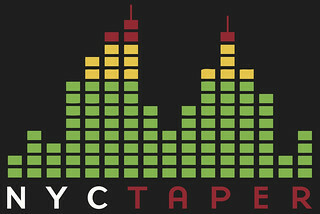 If you email nyctaper for access to this recording, we expect that you will PLEASE SUPPORT The Secret History, visit their website, and purchase their official releases from their site [HERE].